A technical talk on Selection of topics for innovative projects was held on 09.08.2016, by Mr. Narayanan K, Assistant Professor (EEE) for final year students. The talk was about topic selection, literature survey, list of journals and innovative project work. He also discussed about report writing and effective presentation. Two batches of fourth semester Electrical and Electronics Engineering students attended three days value added course, hands on training programme named "Analog electronics design, implementation and circuit debugging" during January 14 to 16 and 25 to 28, 2016 respectively. 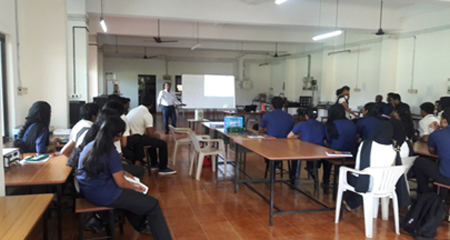 The workshop was handled by Mr. Antu Dominic, Truetek World, Angamaly. 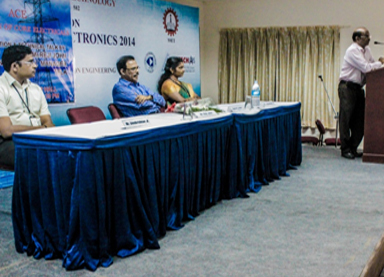 A technical talk was organised on DESIGN, MANUFACTURING AND OPERATION OF POWER TRANSFORMER on 6th February, 2015. Er. Reji John, AGM –TELK, Angamaly was the resource person. 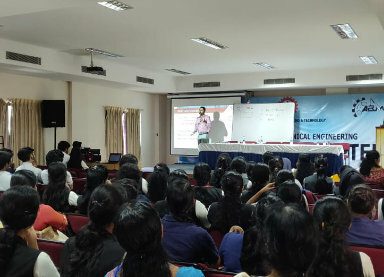 A technical talk on Smart Grid was held on 23.11.2018, by Mr. Vigin N C, Manager Business Development, Kalkitech Software Company for EEE students. The talk was about an overview of smart grid technology.